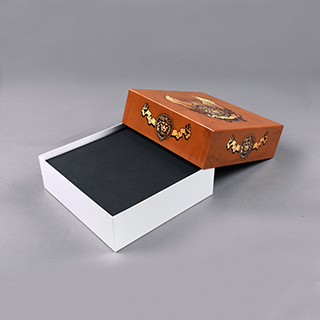 Type: Game Card Box 8.5" x 3.8" x 2.6"
This rigid box is perfect for keeping the board games and card games, up to 500 pcs bridge size or poker size game cards. Customize your own card game box with your own design. 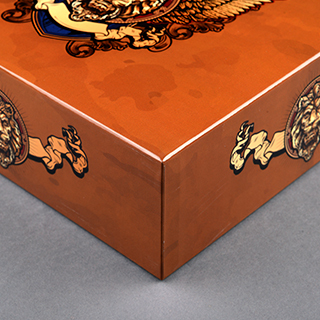 The BGM custom card game Box is the highest quality and most competitive price. This Card game box is best use for store and protect collectible trading cards and any card games, such as baseball cards, basketball cards, football cards, Dungeons and dragons or any card games products. Made to order custom game card box together with matching set of custom game cards. BGM custom card game box can store up to 200 pcs bridge size or poker size custom-made game cards. Making the rigid box united in your own card game design. Create your own custom card game boxes for card games retail distribution. Choosing the a game card box will depends on the amount of game cards you need to store. 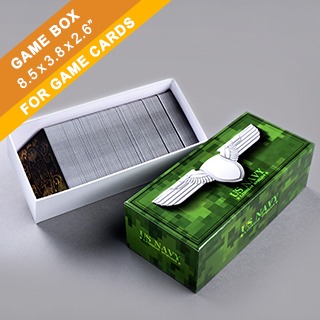 BGM game card boxes can hold 200, 300 and 500 pcs of game cards in standard playing card sizes. Choose the right size for your new card game. Make Card Games with cutting edge of technology and press production printing systems that performs at top speeds to meet your schedule. Therefore, our facility can answer every imaginable game designers printing needs. BGM full color printing suggest to be the best quality using high quality game parts. You will be more than glad in choosing BGM online printing services and at most competitive pricing.